In today’s highly competitive marketplace, an organisation’s website doesn’t just need to be good, it needs to be perfect! Or at least as perfect as humanly possible. But because we are human, mistakes do happen. Most website issues can be fixed pretty quickly but, what is interesting, is that there is a commonality to the mistakes we are seeing. 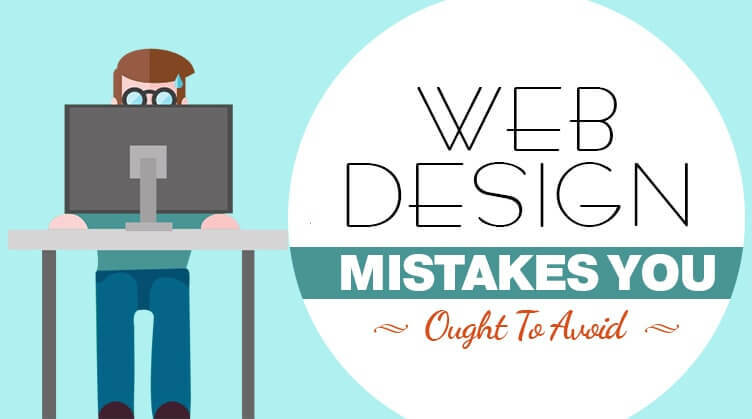 So let’s take a look at some of those common mistakes, and find out how they can be avoided. When you look at website design on the Sunshine Coast, it’s usually pretty easy to spot the DIY jobs! Cluttered layout, poor quality images, boring content, annoying difficult navigation . . . the list goes on. However, when it comes to small business website design, what the owner of the site needs to understand is that any possible saving they make by doing the site themselves – or getting their mate’s son to do it! – is nothing compared to the potential loss to their business of losing customers through having a poor website. Good website design is a skill, particularly as it needs to combine ‘art’ with technology, and produce something that is both aesthetically pleasing and functional. One of the most common rookie errors is not having a plan. Professional website design services use a grid to ensure the site is consistent, functional and visually pleasing. They also customise the site, so that it doesn’t look like a thousand others! In order to get a website up and running quickly, people often select a themed design, but then fail to customise it. Bad look! Another mistake we come across a lot is someone trying to squeeze too much into the site. There’s stuff happening all over the screen and you don’t know what to click on first! Not only is clutter confusing but science proves that it can also stress us out – so that’s another potential customer lost! Equally, however, you do want something going on! It’s a mistake to oversimplify to the extent where the site becomes boring. While minimalist design in on-trend right now, it only really works when done professionally. Good design is all about balance, and it’s that lack of balance which seems to cause a lot of these rookie errors. Here’s another example – CTA or Call To Action. You’ve got the user to your site, held their attention long enough to take them to the next stage, but then you don’t tell them what to do! You don’t want to annoy the user, by having CTAs pop up all over the place, but you do need to give them something to do. So your CTA could be Shop Now or Get 25% Off or Book Now, and so on. But don’t then demand the customer fill in a form as long as the Great Wall of China! Keep detail gathering to a minimum at this stage. Another area in which amateur website designers often fail is content. You might have got away with poor content in the past but today, content needs to be planned, well written, engaging, informative and appropriate. Both your potential customers and Google will shy away from boring, badly written content or blatant self-promotion. Small business web design today needs to be super schmick, totally mobile-friendly and SEO optimised within an inch of its life! It’s the 59 Second Rule. You have 59 seconds to impress a visitor to your site enough to stay and, hopefully, spend money. If the site is too slow to load, or the navigation is overly complicated, or the content is boring, the visitor will leave. Simple as that. So really, the best way to avoid rookie errors, attract more customers and make your business a success, is to hire a professional website designer!